Residents in these halls often become lifelong friends and cherish their experience. A connected entryway and common space shared with Mantor Hall creates an engaging community. Coed floors with two gender designated community style bathrooms and kitchenettes with lounges makes this hall unique. How to change the height of the bed. How to bunk the beds. 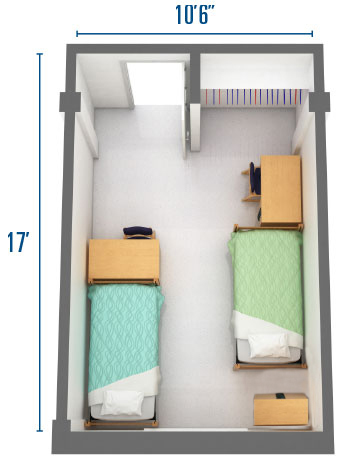 Loft rental available: Randall Halls are provided one University-owned loft kit standard per room at no additional cost!